I love ZaSu Pitts. I can laugh just watching her struggle to open a bureau drawer. 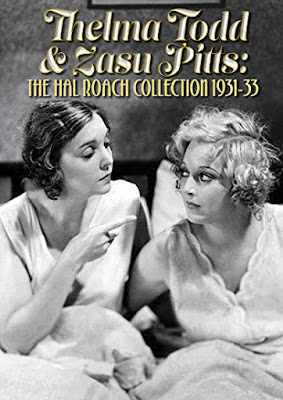 See Ms. Pitts at her funniest in the new DVD collection Thelma Todd & Zasu Pitts: The Hal Roach Collection 1931-33. Of course, Thelma Todd is very funny, too. I commend Richard Roberts, Kit Parker and Paul Gierucki for their excellent work in producing this collection. I truly enjoyed it. The DVD collection is available at Amazon.